Janet Yale, president and CEO of the Arthritis Society which hosted the free event, said the society got involved a few years ago because the evidence showed more than 50 per cent of people who use medical cannabis did it to alleviate arthritis pain. She said at the time, people were having trouble getting access because doctors didn’t know and understand the medical therapy. Yale said the society is now seen as a leader in medical cannabis support – for research, access of information and affordability. Awareness is being raised about the fact medical cannabis is taxed even though other medicines aren’t and most benefit plans won’t pay for it. One patient who spoke was Lauren Meadows who suffered with pain. Lauren is proof that more and more people are seeking doctors to prescribe Cannabis to them. We need more doctors to be educated on the topic and more education is needed. The stigma of using Cannabis must be removed. Lauren Meadows said: “Contrary to what some may think, patients such as myself aren’t looking to get high,” said the busy working mother, wife and hobby farmer who lives in Leamington. This is only the second event to be held in the Windsor area and more will be needed once Recreational Cannabis is legalised. The demand for more knowledge, education, and doctors is growing. There is too much fear mongering in the media which adds to the anxiety of many patients. 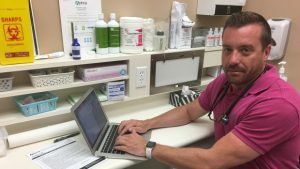 Dr. Christopher Blue, is one of the few physicians in Windsor who prescribe medical marijuana. He attended the Arthritis event. Dr. Blue said a lot of health care providers are afraid to prescribe cannabis to patients, but the FACT is a lack of education. Doctors were not trained about the benefits of Medical Cannabis so it is not surprising that they are either refusing patients, or they are referring them to special clinics. Dr. Blue has a very long waiting list but he is NOT the only place to get a prescription. There are still thousands of patients who do not know where to go as their doctors will not prescribe it as they do not have the knowledge. Dr. Blue also attended a Medical cannabis event last year for the Windsor Essex Rotary Club He talked about long waiting lists and answered many patients questions. Several medical patients shared their stories on stage on how Medical Cannabis helped them with Cancer. Many patients attended the event to find out how they could get a prescription, from where, and also more information about growing their own medication. But patients in the audience were shocked to find out that Dr. Blue would only sign a prescription for patients to buy from licensed producers and NOT to grow. Unlike other doctors who know the rights of patients under the ACMPR that gives everyone the right to grow. ACMPR is an acronym for “Access to Cannabis for Medical Purposes Regulations“, also known as Canada’s medical marjuana law. One patient was reported as saying that Dr. Blue is a shareholder in one of the local producers. But Dr. Blue explained that his reasons for not prescribing was for other reasons. His explanation did not go down well with the patients who attended. 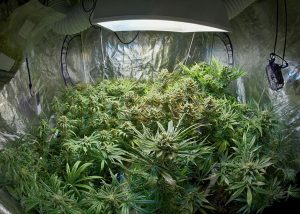 The legal right to “grow your own” is available to anyone who requests it from their Doctor. With that prescription you can apply to Health Canada. There are well over 4,000 people who apply to Health Canada to grow their own medication. But it has been reported that Health Canada has made patients wait months to be approved. *** Breaking News *** An Ontario union is now offering medical cannabis products through its benefits plan. This is a positive move forward to discourage opioid prescriptions and to give workers a healthier alternative to the highly addictive drugs. 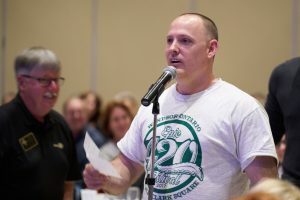 LIUNA Local 625 in Windsor announced the change to its plan Tuesday after two years of widespread consultation with pharmacies and cannabis suppliers. 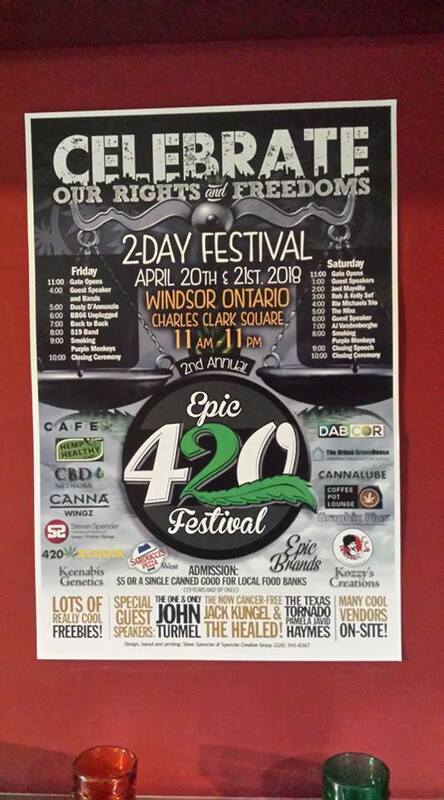 For more information, please check out the 420 Event Windsor Facebook page.